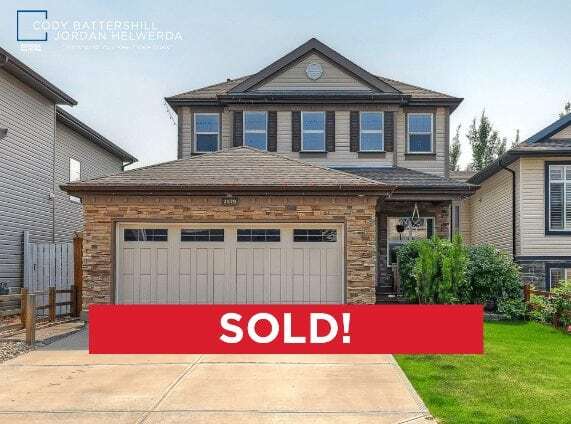 Just sold in the sought after southeast community of King’s Heights, Airdrie, just down the street from a big playground and walking distance to nearby amenities. Are you thinking about selling your home in Airdrie? Call us anytime for a completely free, no-obligation competitive market analysis and we’ll tell you how much your home is worth on today’s market! 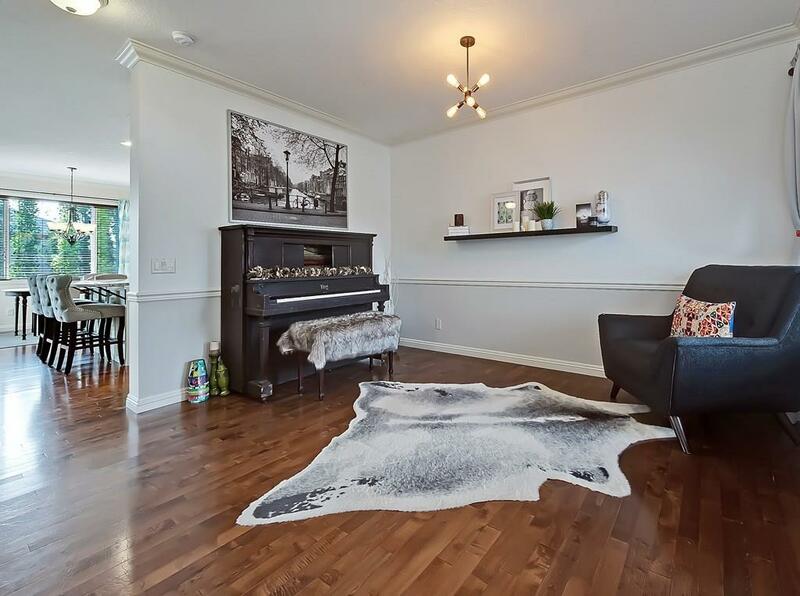 This beautiful single-family home is located in Kingsland View, just down a few doors from a playground and well within walking distance to amenities. 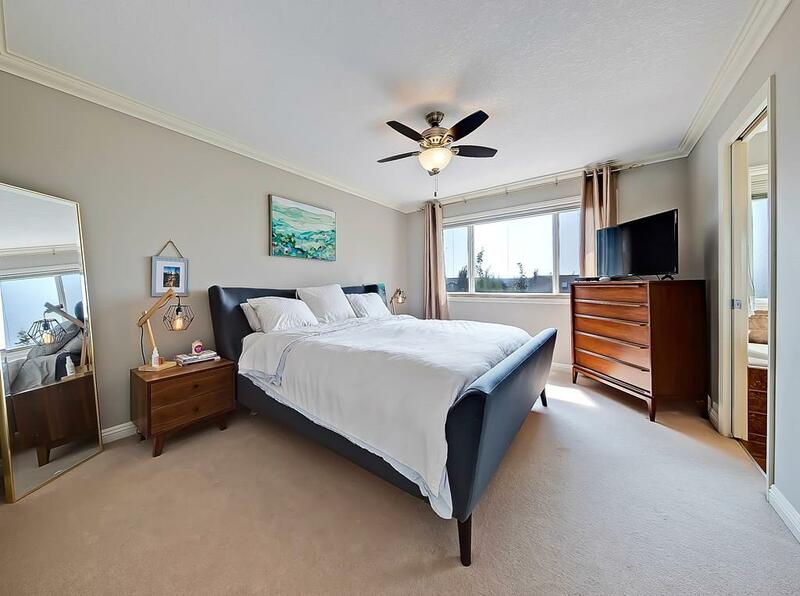 If you’re looking for tons of value in your next home purchase in Airdrie, you’ll definitely want to check this home out! 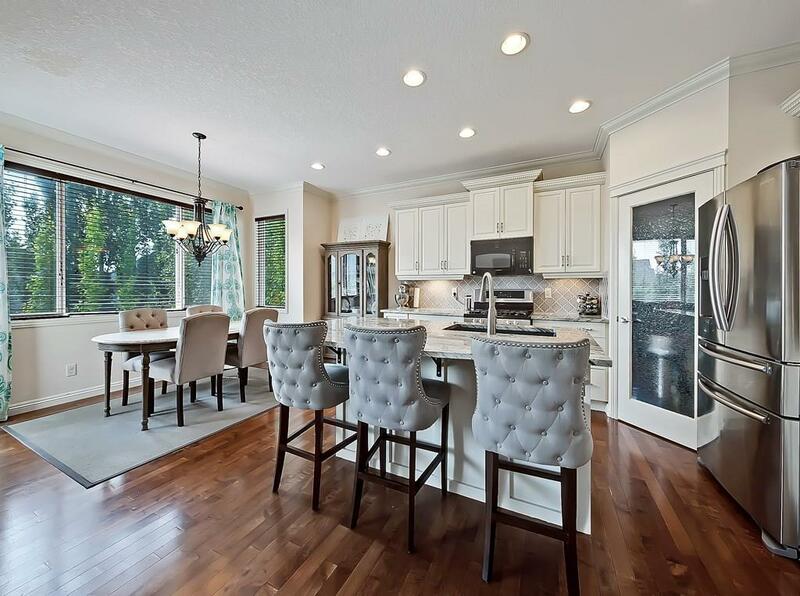 With 4 bedrooms and 3.5 bathrooms across 2,800 square feet, this fully-finished home has numerous features including a bonus room, main floor, den, two fireplaces and much, much more! Featured on the main floor is hardwood throughout most areas including the kitchen and dining room, entrance way and den. There’s also a stunning gourmet kitchen with tile backsplash, corner pantry, white / grayish granite counter tops, stainless steel appliances, a gas-top stove, white cabinets and refrigerator with water dispenser. Upstairs you’ll find 3 bedrooms, a bonus room and the master with a large ensuite featuring a soaker tub and spacious walk-in closet. Downstairs the basement is fully-finished and has a fourth bedroom and full bathroom with a large space able to accommodate game tables, couches and whatever else you’re thinking of putting down there. 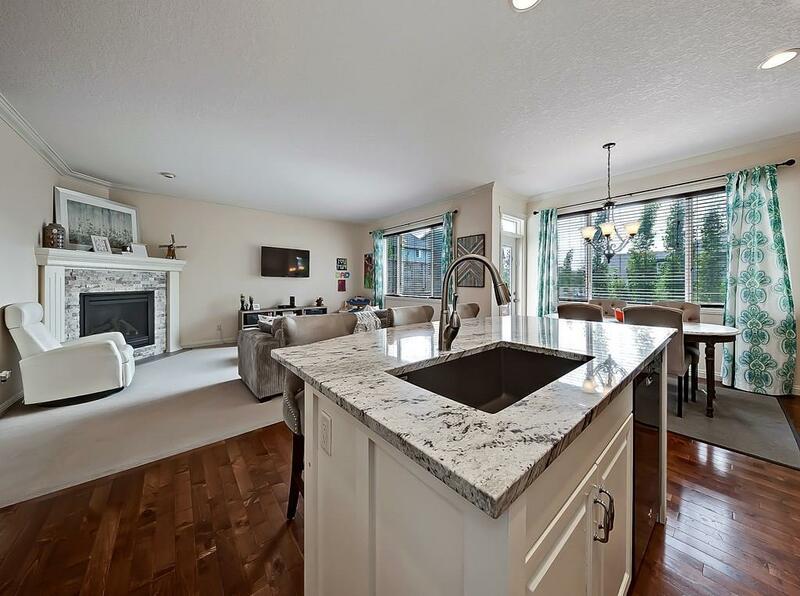 In the back yard you’ll find a cozy main floor deck on a south facing, fully landscaped backyard. There’s also a front porch with seating area too! Have questions about this listing or would like to set up your very own private viewing? Call us today at 403-370-4180 and we will be happy to assist you! 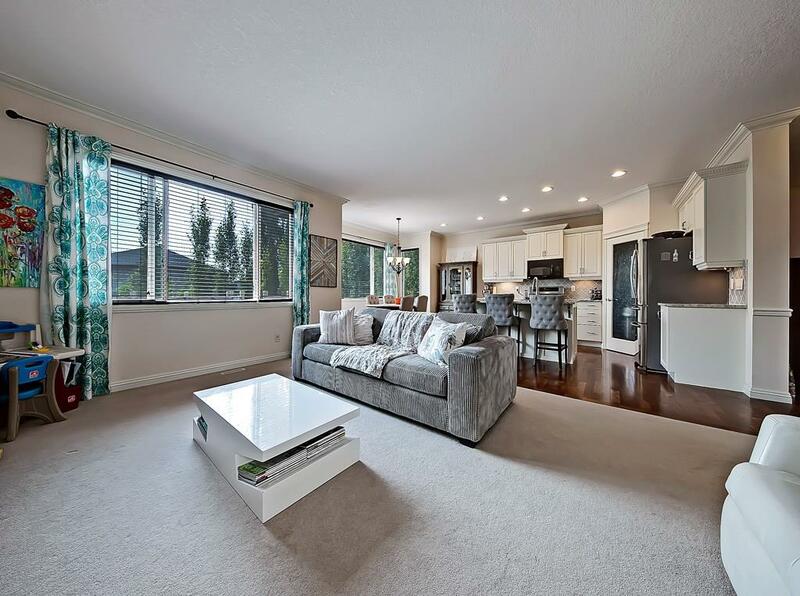 Questions about Airdrie Homes for Sale? 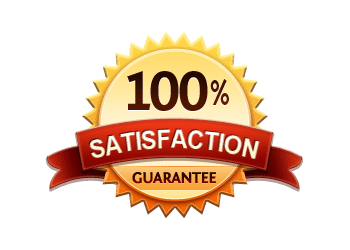 As a highly experienced REMAX real estate agent and REALTOR® in Calgary and surrounding area, I guarantee to provide you with the best service and advice while making sure you have all the information necessary to make the best decisions.